I'm a shoe-aholic. I always have been, and it seems my daughters are picking up my love slash obsession with footwear. My husband swears the girls currently have more shoes than he has ever owned in his lifetime; to which, I say, "I guess you need to buy more shoes." 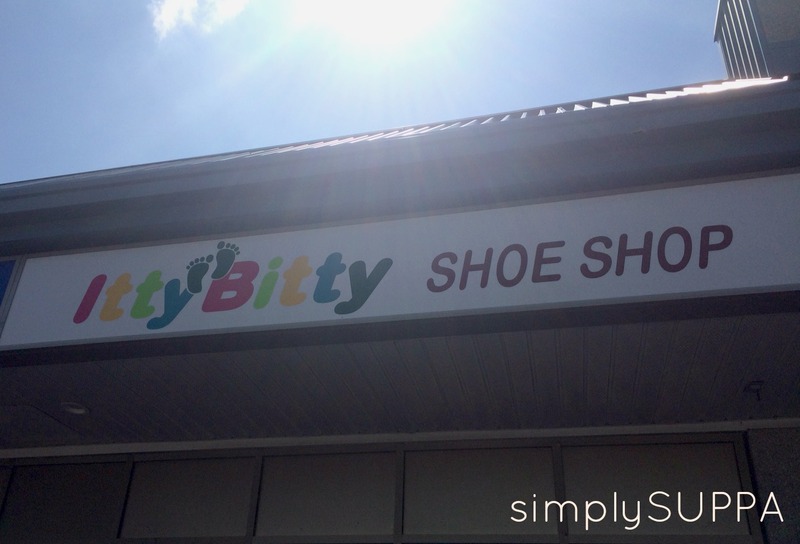 Itty Bitty Shoe Shop opened in Maple about 6 months ago. This tiny little shoe boutique brings in a mix of European and North American styles, ensuring fresh, new stock and quality shoes all the time. Mini Melissa (top right): Think of them as modern jellies. Melissa Footwear, out of Brazil, is a hot new brand making adorable shoes in a flexible plastic. The mini versions are just as sweet, and even feature a signature scented insole. The Minnie Mouse Mini Melissa is strawberry scented. I fell in love with these shoes as soon as I saw them, and I was definitely disappointed they didn't come in my size! Luckily, my girls shared my admiration for them, so we have two pairs at home now! :) There are a variety of styles of Mini Melissas -- so if you're looking for a specific one, just ask. emu Australia (bottom right): Winter. is. coming. I hate it, but it's true. These emu Australia boots are well made, warm, and feature unique patterns and styles. Isabelle picked the ladybug to try on (of course). I like that they come up above the ankle, but not too high to the knee. They're easy enough for her to get on and off by herself, too. Chooze Shoes: Chooze Shoes are known for their creative, bright approach to footwear. Each pair is mismatched and funky. I loved these high-tops, available for older kids. This is just a GLIMPSE of the handfuls of shoes in the shoppe. But what I really came shopping for was BACK TO SCHOOL. 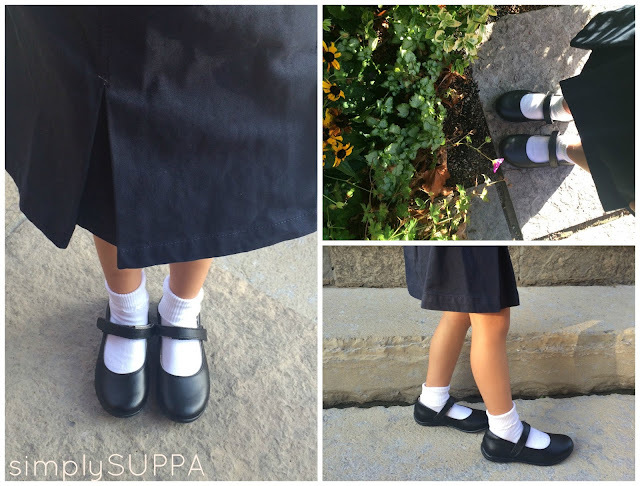 Isabelle will be wearing a uniform for Junior Kindergarten, and while she's already prepped with sneakers, I wanted to get her a pair of uniform shoes that were supportive and comfortable. I'm a big fan of these very simple UMI Mary-Janes. Classic style, all leather upper and interior and solid, non-scuff sole. The velcro closure means it's easy to get on and off. But these shoes don't have to be solely for school. 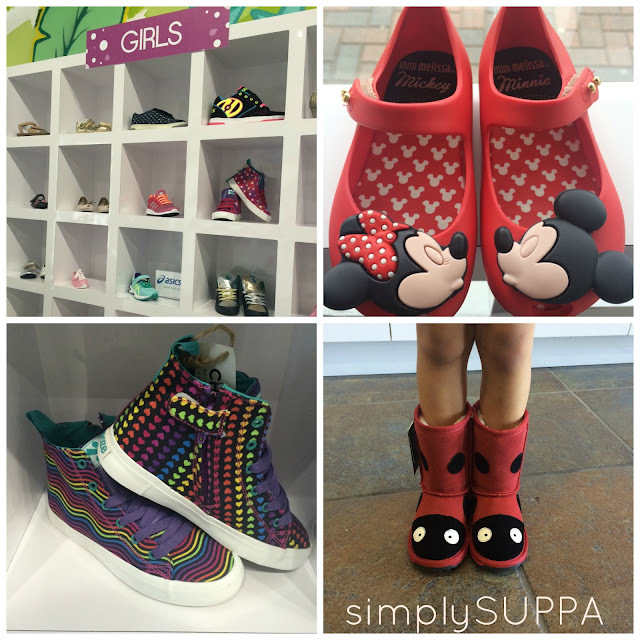 They're a great shoe if you need to have your kids dress up a bit but still want them to be practical. I'm confident she'll be able to run and play in these shoes just fine. Itty Bitty has Back to School shoes for kids of all ages and styles, and price points, too. And so, with only a week left before Back to School/Start of school, one more item is checked off my list. Don't forget to label your kids shoes, so your most recent purchase doesn't fall victim to the Lost & Found. 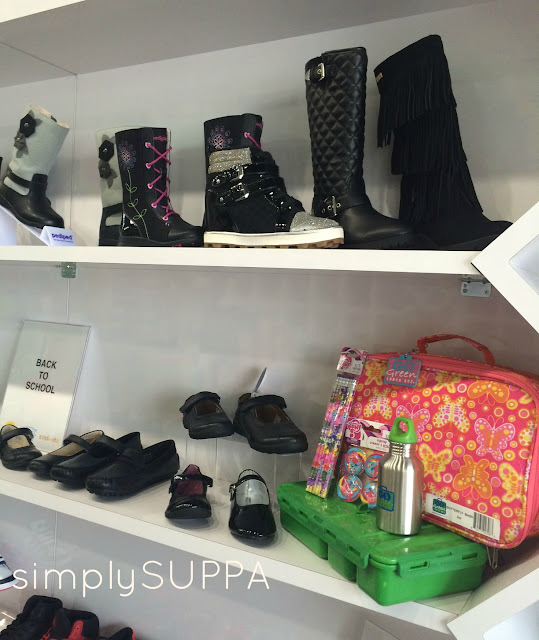 Itty Bitty Shoe Shop is giving one Simply Suppa reader a brand new pair of UNIFORM SHOES. The winner will be notified via email. Fill out the Rafflecopter below to win. And if you pop by the store (at Rutherford Road and Keele Street in Maple), say hi to the owner, Knar. She's just lovely. It's always nice to support a local business and business owner.